The publisher became established with a range of books for model makers and model engineers and also covered Polish subjects. From that starting point, an outstanding range of special interest books are now available and contain much more than just notes and images for modellers. 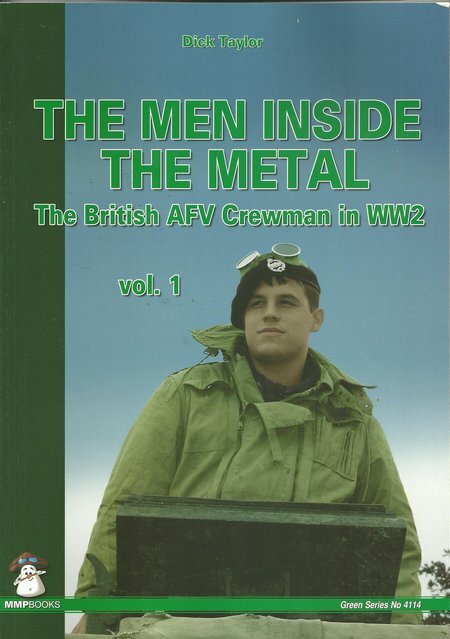 This book, one of two volumes, takes a detailed look at British AFV Crewmen in WWII. The book is lavishly illustrated with photographs, many in full colour, and also by specially commissioned artwork. The text is concise, effective and easy to read. The book will be of special interest for modellers and historical re-enactment groups, because it provides a level of detail that is missing from most other books that cover WWII and AFVs. DESCRIPTION: The publisher became established with a range of books for model makers and model engineers and also covered Polish subjects. From that starting point, an outstanding range of special interest books are now available and contain much more than just notes and images for modellers. This book, one of two volumes, takes a detailed look at British AFV Crewmen in WWII. Although the book is designed to meet the needs of specialist readers, it also provides a very interesting exposure of uniforms, badges and equipment that will appeal to a much wider readership, including those who collect militaria. The illustration is first class as is to be expected from an MMP Books publication. The layout is logical and straightforward. There are four chapters, covering uniform, badges and insignia, personal equipment, and crew equipment and weapons. These chapters are each broken down into sub-chapters. A very useful addition to the range of warpaint books and related land warfare books.